There was a time when the very idea of a “sober companion” struck a dissonant cultural chord in every part of the country except Hollywood. To be sure, most media outlets traditionally portrayed our field as a playpen for the vacuous and self-involved, with a Sober Companion standing guard like a Romper Room Miss Maryanne with a bad-boy paddle. You always will hear the worst stories portrayed in the papers and on the internet. After all, debauched, drug-addled celebrities sell more ad space than just about any public figure – including the President (a fact which may or may not carry its own cultural value). Thankfully, this image has started to erode. People nationwide have discovered the truth behind the coverage: Sober Coaching works – and for a special segment of the population, sober coaches and sober companions work incredibly well. Scientific studies continue to reveal that people leaving treatment without proper aftercare continue to relapse at alarming rates – substantially higher than those who invest in their continued recovery post-treatment. In fact, well over 50% of those discharged from treatment resume alcohol/drug use in less than 12 months (Wilbourne & Miller, 2003), most within 30-90 days of discharge (Hubbard, Flynn, Craddock & Fletcher, 2001). If you want to carry a publicist on your outings with a New York Sober Companion, you may feel free to do so. In fact, if you need a press release stating that you are no longer engaging in self-destructive behavior, it’s your prerogative. However, if you want your New York Sober Companion to get in bed with a publicity machine, you have another thing coming. We are not here to get famous, and we are not here to make you more so. 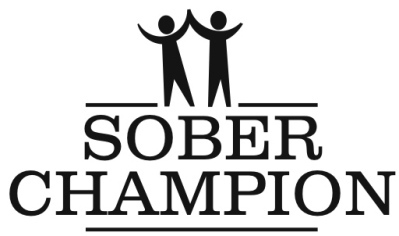 We are here for one purpose only: to help you stay free from alcohol and drugs no matter what. If you are ready to protect your investment in yourself by engaging the services of a discreet professional, then do yourself a favor and contact us: click here.